The classic round table style, perfect for sharing food and conversation with family and friends. 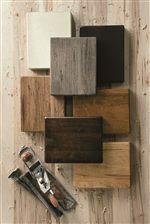 Use this classic piece in your kitchen or dining room display for a traditional meets rustic look. Seats 6-8. Round tables available in 54," 60" and 72" sizes. The Bench Made Maple 72" Round Tavern Table by Bassett at Great American Home Store in the Memphis, TN, Southaven, MS area. Product availability may vary. Contact us for the most current availability on this product. The Bench Made Maple collection is a great option if you are looking for Transitional furniture in the Memphis, TN, Southaven, MS area. 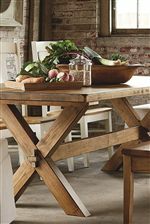 Browse other items in the Bench Made Maple collection from Great American Home Store in the Memphis, TN, Southaven, MS area.